Creation Date Friday, 14 March 2014. The City of Salem's Utilities Commission settled a plan for chlorine by-product level reduction in drinking water, through water testing and treatment. The operation is slated to use a Parker THM (Trihalomethanes) Analyzer worth an estimate of $32,500 and $3,000 for chemicals and miscellaneous items, respectively. This THM Analyzer is expected to test the treated water for presence of disinfectant by-products and allows for chemical adjustments, while complying with state rules. Utilities Superintendent, Don Weingart, recognized the need for a water testing analyzer to determine the levels of waterborne organisms found in the water supply. These organisms can then counter the chlorine used to control and disinfect the water contaminants, forming chlorine by-products called Total Trihalomethanes (TTHMs). According to the regulations by the Ohio Environmental Protection Agency made effective in the year 2013, there is a demand to decrease the presence of TTHMs in the water system. This regulation limits the maximum allowable level at 80 parts per billion or 0.080 micrograms per liter. Weingart emphasized that Salem’s water is safe for drinking upon discussing the presence of TTHMs in the water system and the demand to decrease its levels in the water supply, according to the new regulations by the Ohio Environmental Protection Agency, made effective in 2013. To comply with the EPA's new regulation on the reduction of chlorine by-products, the commission hired Burgess & Niple to design plans for improved circulation of potable water into the Stewart Road Reservoir. This project was estimated to cost $104,000 and be completed this year. Prior to this project, the commission had Burgess & Niple project manager Zach Held report on the evaluation of the Highland water tank. The commission previously deliberated on whether to allocate a budget for the tank's maintenance or eliminate the tank entirely. Held used a computerized model to discuss various scenarios with and without the water tank. He also demonstrated what could occur in the water supply during peak demand, in the event of a fire, and when there is a power outage. Held and his team prefer to study a calibrated model of the city’s actual water system circulation and pressure at hydrants. They suggest obtaining a sample to input into the hydraulic water model before giving a final accurate recommendation. In behalf of the commission, Weingart approved the calibrated testing at a cost of $12,500. 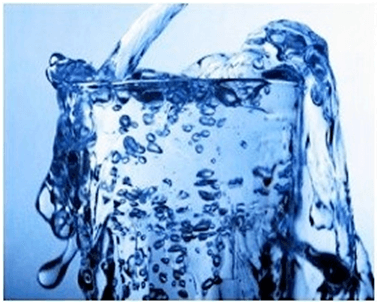 Like the EPA and the Salem Utilities Commission, Aqua Solutions is committed to providing safe and pure treated water through high quality, reagent grade water purification systems for laboratory applications. Check out their wide inventory of laboratory water purification systems at www.aquaa.com today.